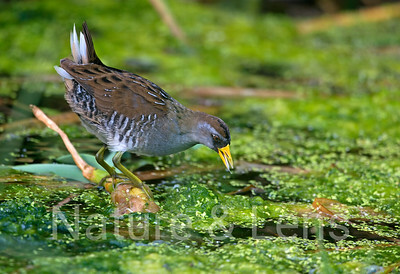 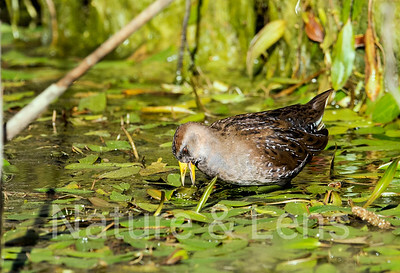 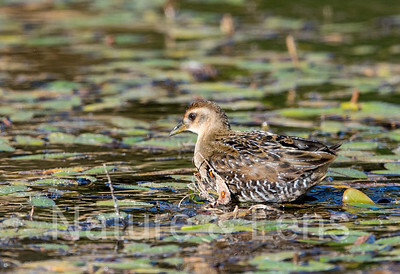 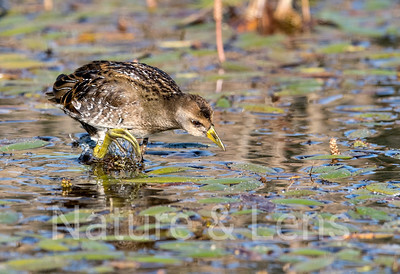 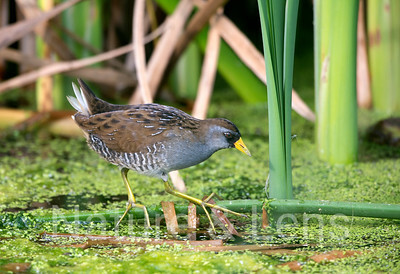 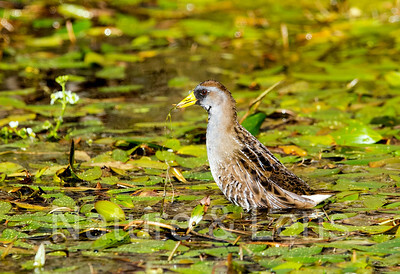 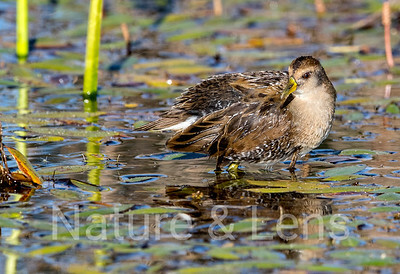 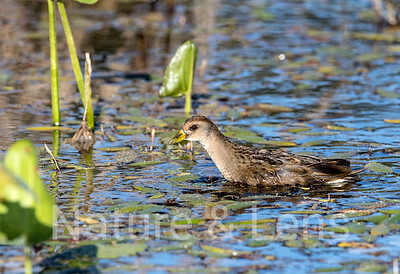 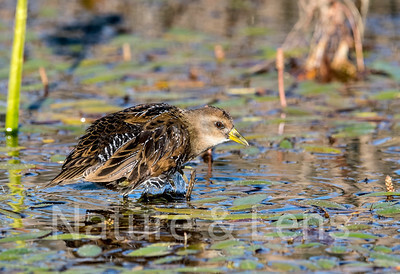 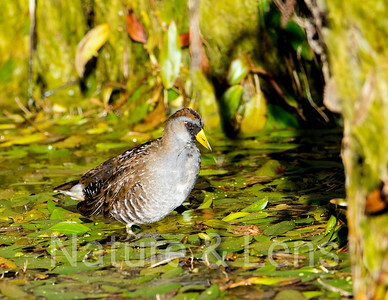 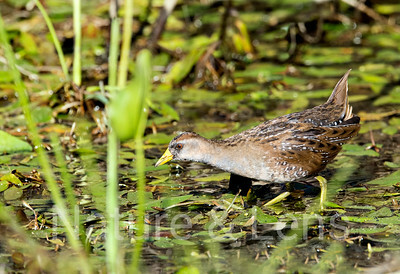 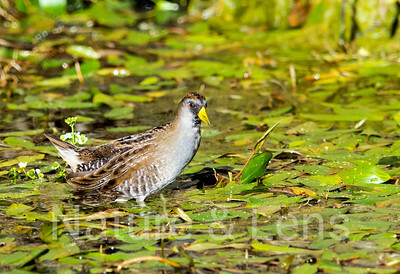 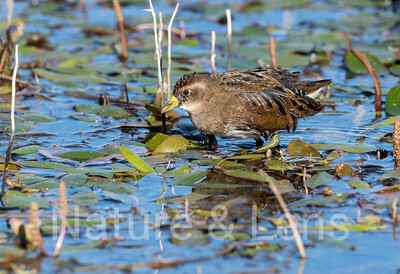 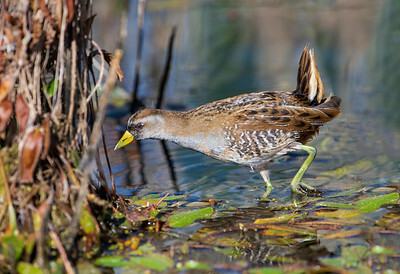 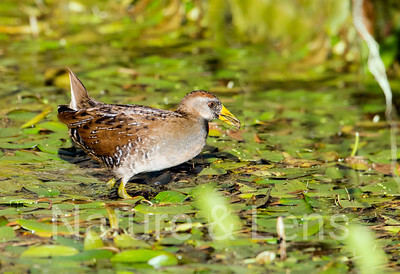 The Sora Rail makes its presence known with plaintive whistles and whinnies rising from the marshes all across North America. 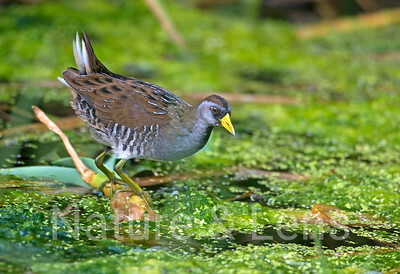 Despite its abundance, it is not often seen: As with other rails, it spends most of its time hidden in dense marshy growth or wet meadows. 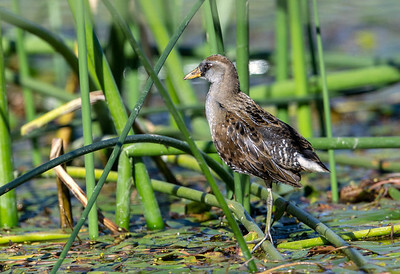 Occasionally it will walk about in full view at the edge of a pond, delighting any birders who happen to be nearby. 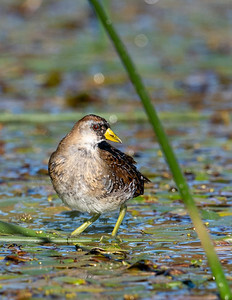 Although Soras might seem like weak fliers when seen fluttering over the marsh, they regularly migrate long distances, many going to South America for the winter.